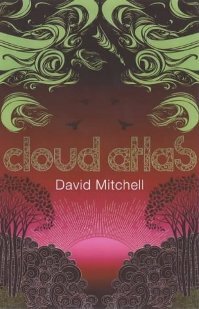 A bit of a change of pace for this week’s Summer Books selection – Cloud Atlas, by David Mitchell, once featured as part of Richard and Judy‘s Book Club. Confounding expectations for a book associated with a daytime chat show, Cloud Atlas soars to levels far above many of the books to be featured in this series of reviews. It has a wonderful central message, which is continually revisited and brought together nicely at the end, and the quality and style of the language over hundreds of years is spot-on. The book is essentially constructed of six smaller books, each interrupted at a crucial moment in their story – one even midsentence – and returned to later. The story spans from the 1800s right through to a distant future, with each of the different small books being about a different time period, and written in the style of that time period. Because of this, the book could have been enormously gimicky, and been very poorly written, but it wasn’t. Mictchell clearly has the amazing talent required to construct such a story of such amazing ambition, and to transcend both styles and genres. Whilst this is a marvellous book in itself, it reminded me of Italo Calvino’s If on a Winter’s Night a Traveller in several respects, especially since both are essentially collections of stories-within-stories. However, whilst Traveller was an excellent novel which pushed the boundaries of the genre, Cloud Atlas is far more accessible, much more populist novel that one can just sit down, read, and enjoy, whilst still maintaining a number of worthy themes and messages. This is accessible literature, without descending to the level of Dan Brown. Cloud Atlas is a very clever novel; in fact, it is so clever that you end up forgetting just how clever it is, and just run along with the story. There aren’t many writers about who can achieve this delicate balance of being smart whilst resisting the temptation to show off and overshadow their own story. That said, I found the first 100 pages or so quite hard going, as I tried to get used to the format of being cut-off mid-flow with no immediate explanation, and some of the stylistic leaps are large. Still, once you get into this book, you won’t come out until you’ve finished. I highly recommend this book, and if you haven’t read it yet, this summer might be the perfect time to tackle it. This 1,345th post was filed under: Summer Books, Books, Dan Brown, David Mitchell, Gazette Columns, Italo Calvino.